When the news first came out about the death of famed rock frontman Chris Cornell back in May of 2017, it shocked the rock world. 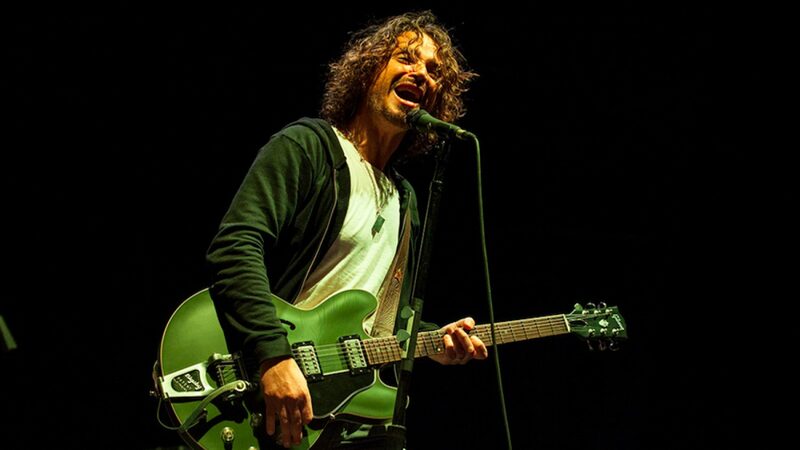 Throughout his career, Cornell was best recognized as the frontman of Soundgarden and Audioslave, among other groups that gained worldwide popularity. Now, Gibson has announced a reissue of the Chris Cornell Signature ES-335 electric guitar, which was the result of a partnership with Cornell back in 2013. The news from Gibson came during the “I Am The Highway: A Tribute to Chris Cornell” concert which took place earlier this week, and featured members from Soundgarden, Audioslave, and Temple of the Dog, among other guest performers. The design of Gibson‘s reissue of the signature ES-335 model, aside from a new inclusion of Chris Cornell’s signature at the headstock, is identical in nature to the original issue from 2013. Its features include a mother-of-pearl peghead inlay, aged Lollartron humbucking pickups, and clear “no number” Top Hat knobs. Its semi-hollow body comes in an Olive Drab Satin finish, and, of course, comes complete with a Bigsby vibrato tailpiece at the bridge. These are a combination of specs that come standard with ES-335 guitars as well as a select few of Chris Cornell’s signature features. As mentioned above, Gibson announced this guitar at the Chris Cornell tribute concert, and announced that only 250 models would be distributed and made available for purchase this spring. This is unfortunate for the masses that likely will want to buy one, yet understandable given the circumstances surrounding its release. All ticket sales from the tribute show went towards benefitting both the Chris and Vicky Cornell Foundation for protecting vulnerable children, and the Epidermolysis Bullosa Medical Research Foundation. In that respect, after its announcement at the tribute concert, Gibson also donated 2 of its new guitars to the benefit, in an extra effort to raise more funds for both causes.